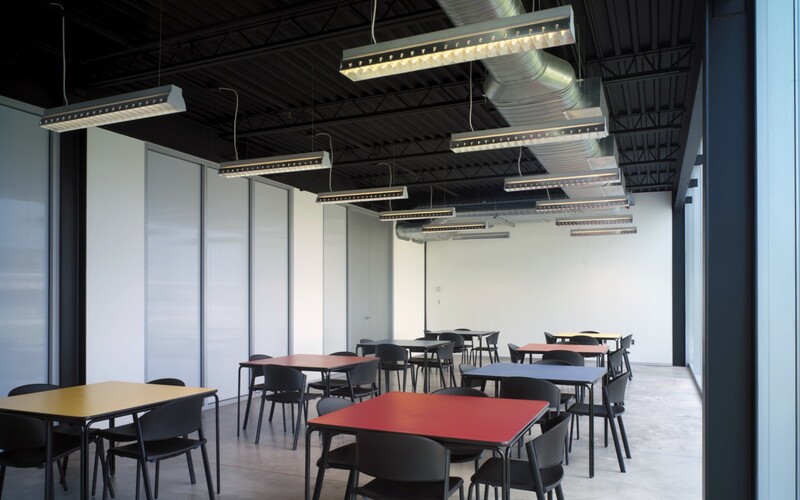 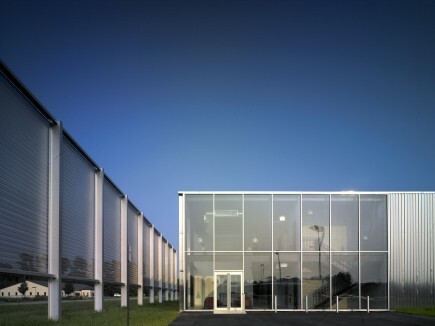 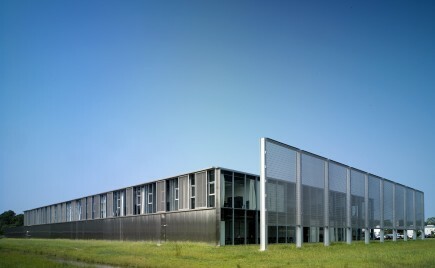 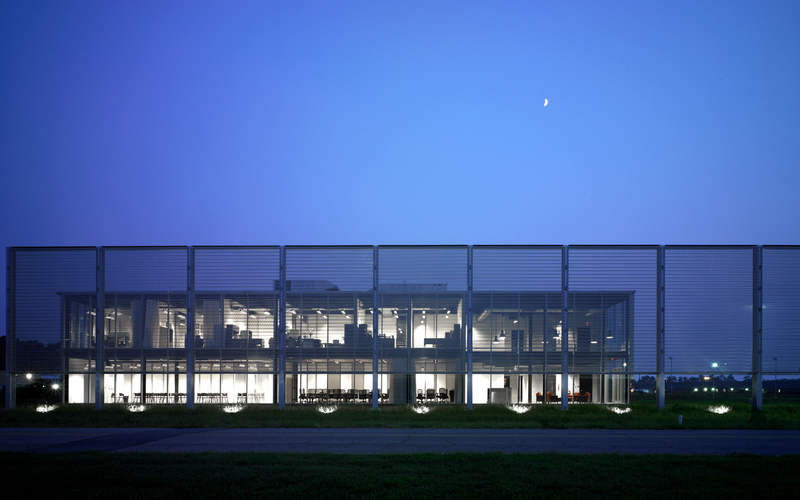 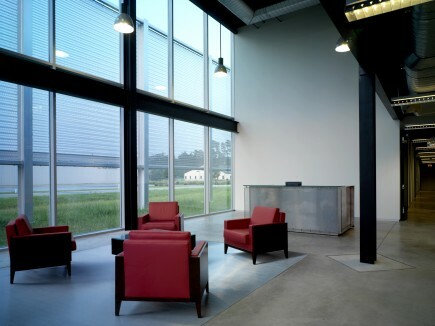 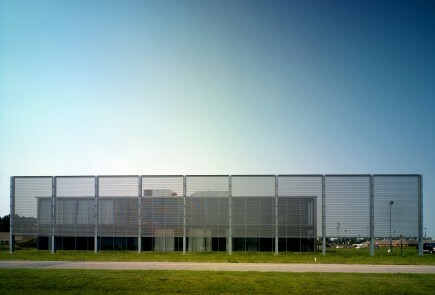 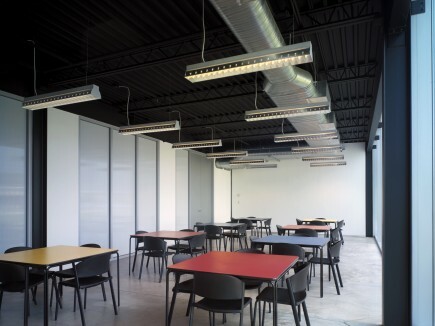 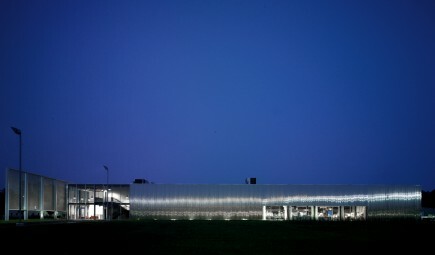 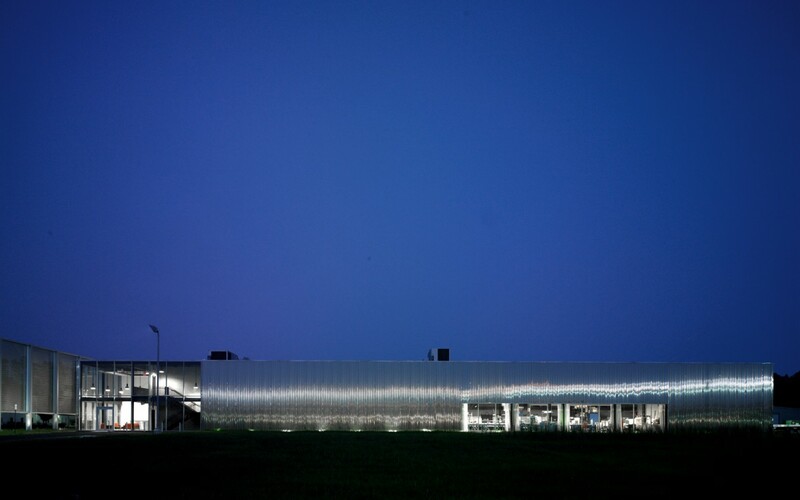 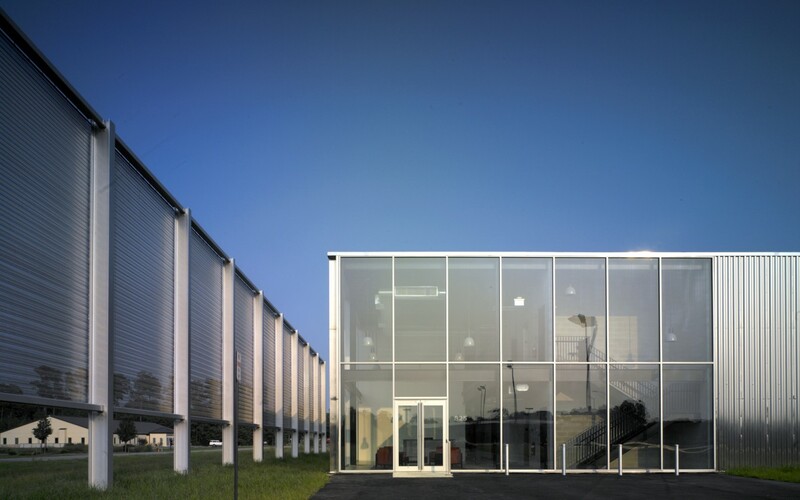 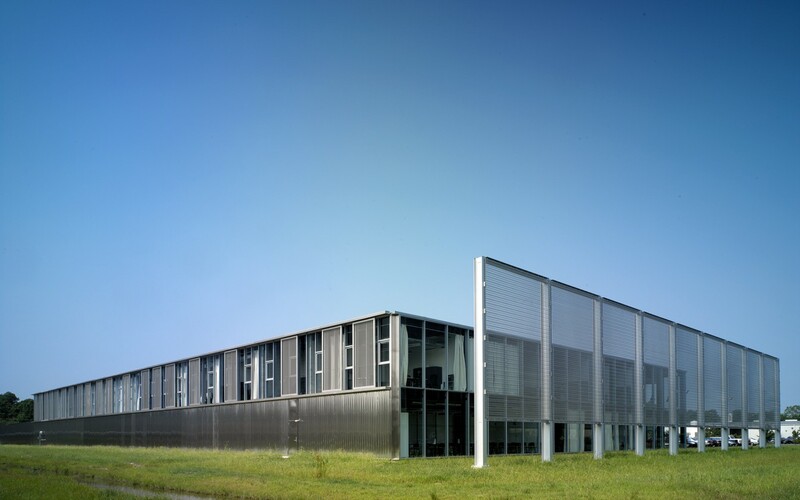 GKD and internationally-renowned French architect Dominique Perrault (Bibliothèque nationale de France) selected Ziger/Snead as their affiliate architect for the United States Headquarters of this Cambridge, Maryland-based manufacturer of woven wire materials. 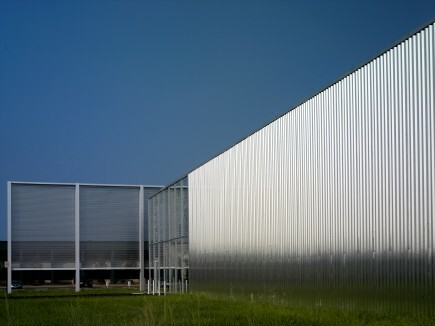 It is Mr. Perrault’s only building in the U.S. 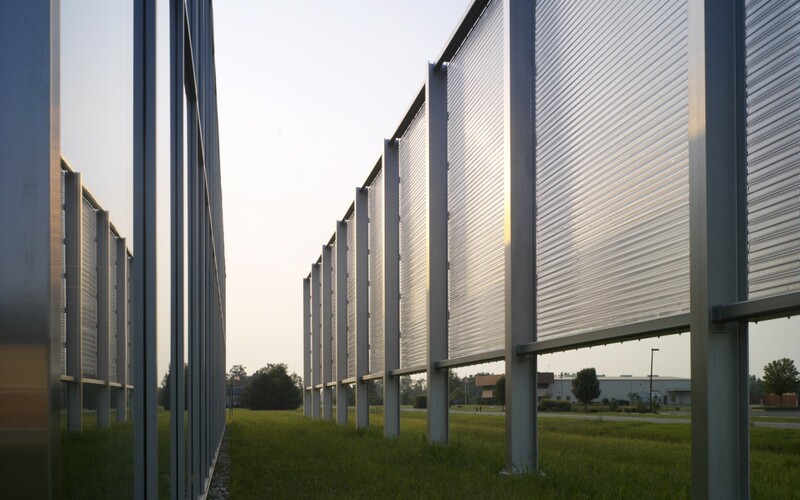 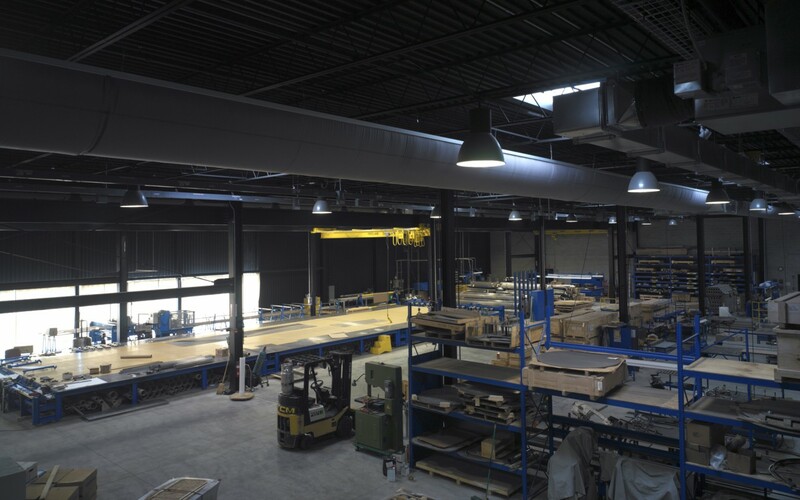 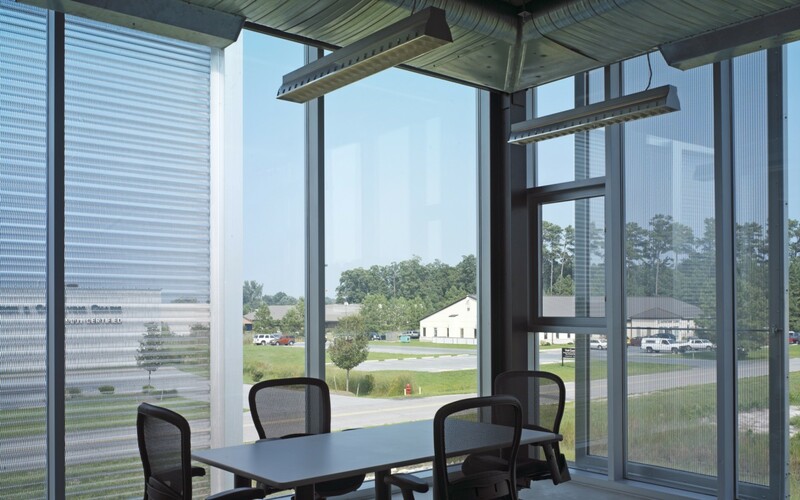 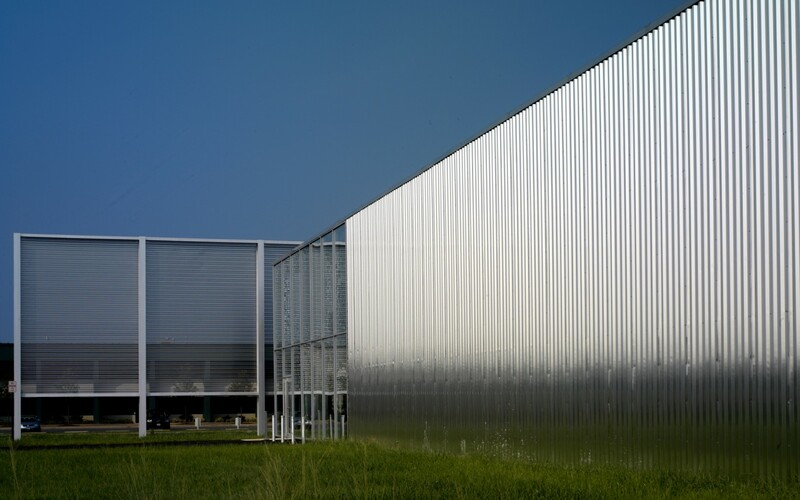 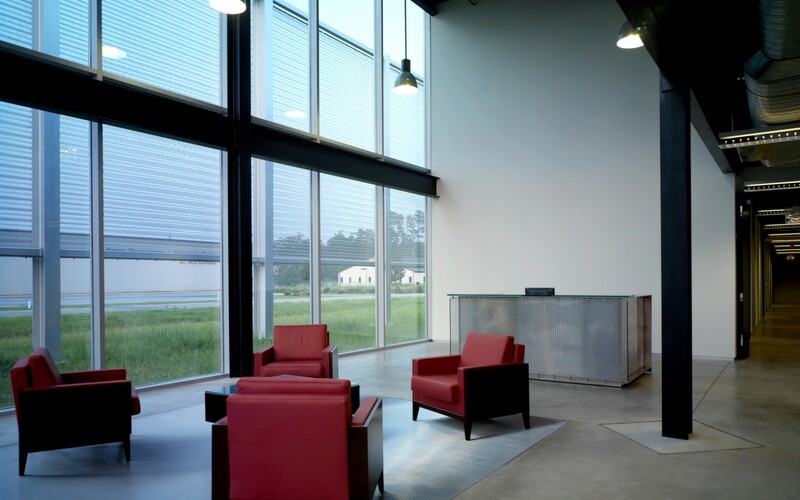 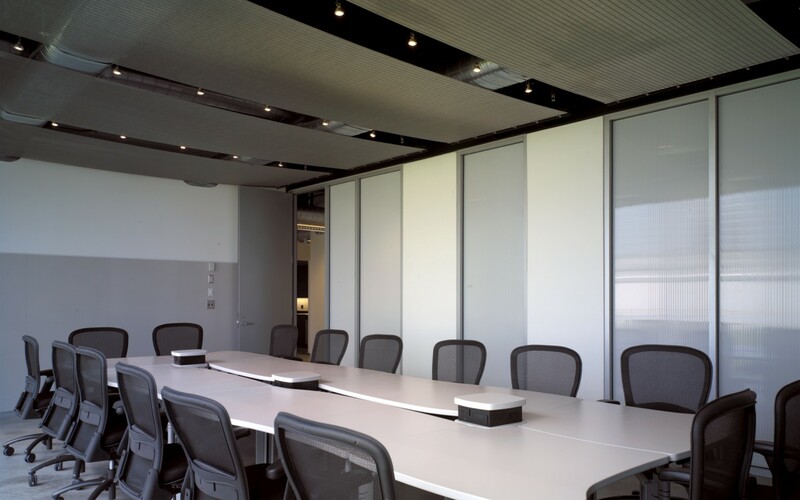 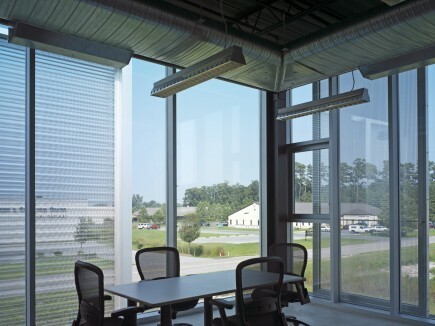 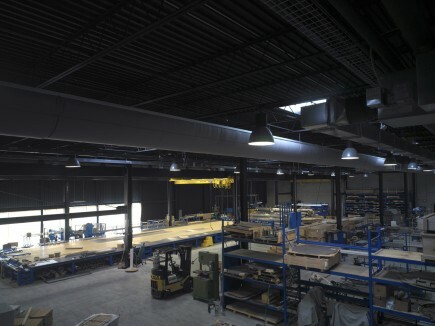 This 40,000 square foot office and manufacturing facility is an elegantly-detailed corrugated stainless steel and glass box that serves to highlight GKD manufactured mesh products. 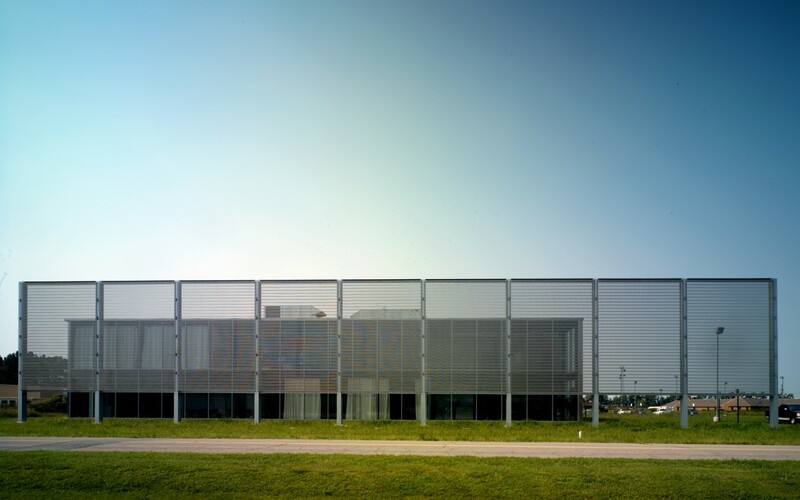 On the front façade of the building is a free-standing 160-foot-long screen wall which acts as a “billboard” for the company; on the east wall is a series of moveable screens that can be adjusted from inside. 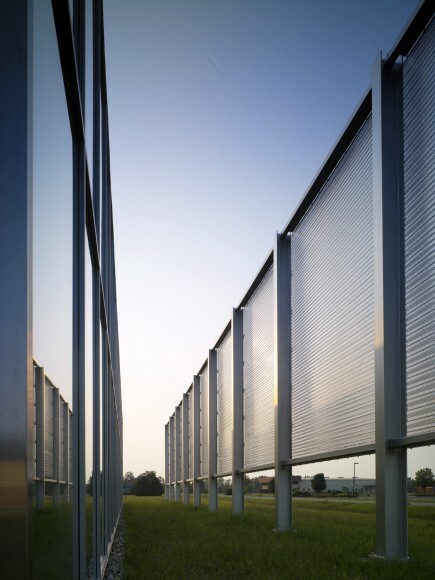 Mr. Perrault was one of the first architects to experiment with GKD mesh products which he has skillfully integrated into many of his most important commissions. 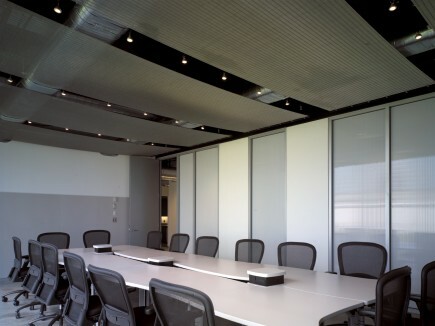 Owner: GKD - USA, Inc.